Ngaji Gurrijin! We’re back from our wonderful adventure in Australia’s North West. 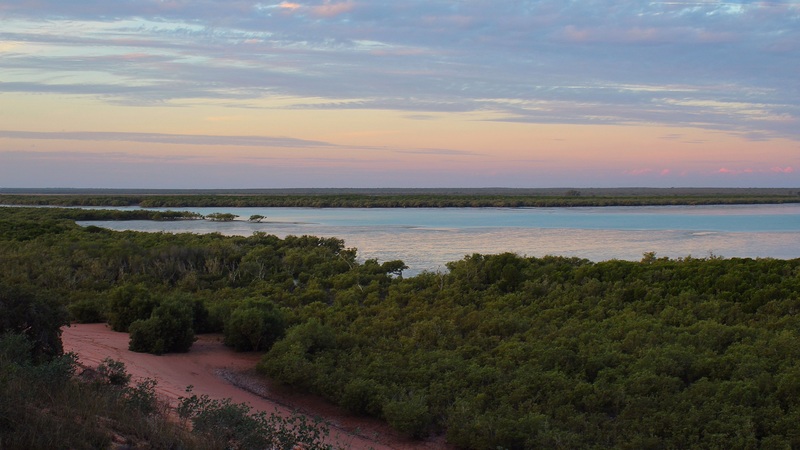 Back from a long trip that brought us to the Yawuru country of Broome’s Roebuck Bay. Although we didn’t have the intention to drive all the way to this magic Kimberley destination, the abnormally wet conditions in the Pilbara left us with little options. With the prospects of some lovely dry tropical winter weather, and the chance to stay at one of the country’s most beloved wilderness destinations in mind, the decision for this 988 kilometres detour was easily made. No big deal, we were planning to drive 2,894 kilometres anyway! 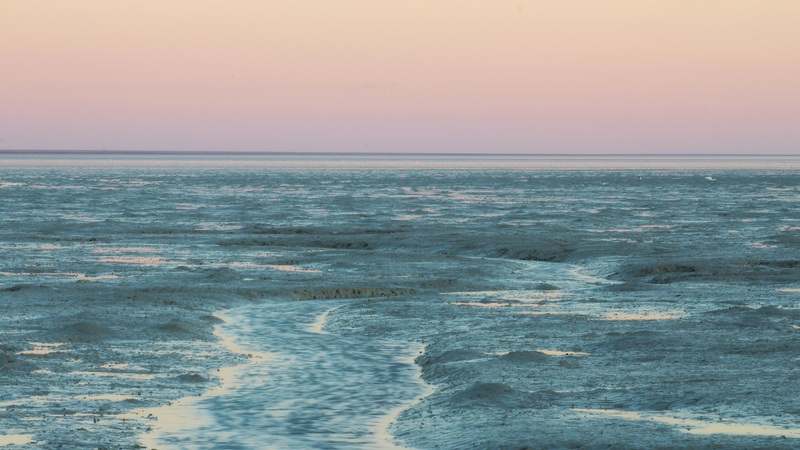 Mud and holiday-destinations are not easily associated, however, in the case of Roebuck Bay it’s an entirely different story. Sediments trapped in the bay are carried in by ocean currents, forming mud flats where the particles settle in quiet waters. Cyclones, heavy rain and wind further accumulate deposits, while big tides and a shallow sloping coast expose large parts of these intertidal flats. Extraordinary rich in invertebrate life, the flats provide the most important food source for the bay’s wildlife – and that’s why Roebuck Bay is such a unique destination. The variety of habitats is matched by an impressive diversity of wildlife, with marsupials and reptiles abound. But the gathering of migrant shorebirds from the northern hemisphere, flying from places as far as Central Asia, Siberia and the Arctic, is what Roebuck Bay is renown for. Especially during the non-breeding season, which coincides with Roebuck’s wet season, migrating shorebirds congregate in flocks of thousands. At the time of our visit most migrants had left, however, large numbers of inland birds migrate to this food-rich part of the Kimberley during the dry, when water in the interior is scarce. Add to this the enormous diversity of raptors (22 of Australia’s 24 species have been recorded here) and it is clear Roebuck Bay is worth a visit any time of the year. 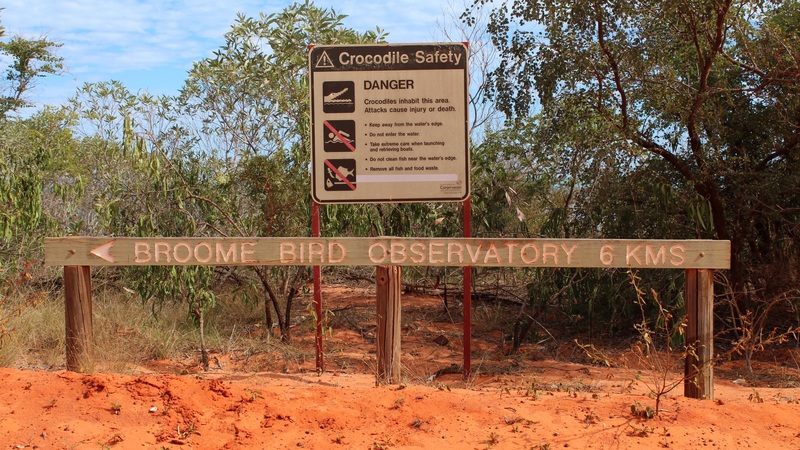 The most logical place to stay is at the Broome Bird Obsevatory, 25 corrugated kilometres away from the hustle and bustle of Broome. Home to resident wardens, researches and many volunteers, the BBO offers accomodation, camp sites and a fantastic shade house with running water and cooking facilities. Although the beaches and its shorebirds remain the major drawcards, the trails that lead through the Pindan forest are worth exploring as the bush harbours plenty of interesting wildlife we’ll highlight in the upcoming posts – so please stay tuned! I look forward to seeing your wildlife photos. It’s a bloody long detour indeed, Inger, but well worth it. The raptors were great, and with some stealth techniques you could get reasonably close! Since you are able to tell the story I know you made it out safe:) Looking forward to some raptor close-ups – I am sure you were able to get some! It was absolutely fabulous; loads of pics indeed – don’t know where to start! It sounds like an amazing place, I too look forward to more photos. I can see we’re going to be entertained with many brilliant photos and stories from what sounds to be a wonderful destination!